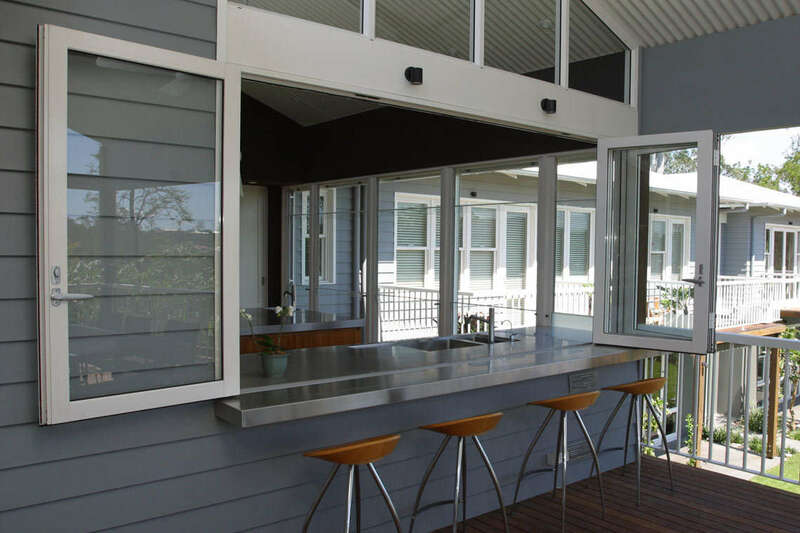 The main difference between Series 546 bifold window and 548 is the narrow horizontal rails. 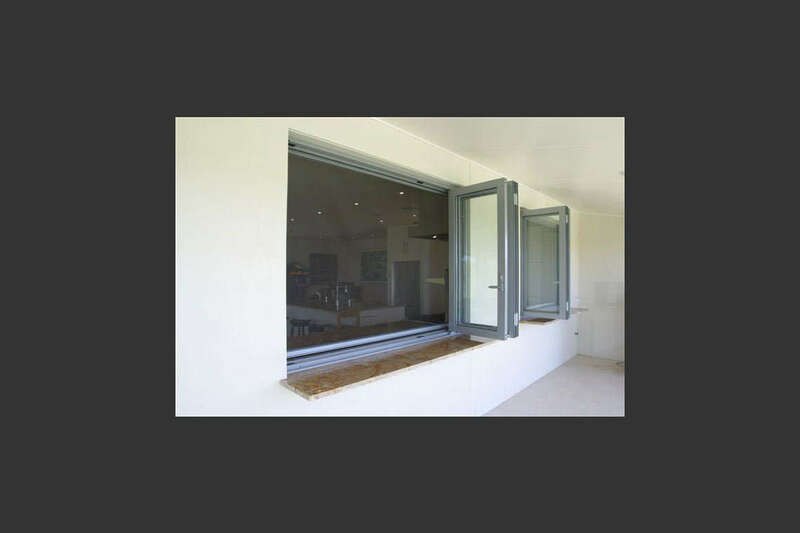 Bottom-rolling panels run on rollers at the sill ensuring they don't pull the bi-fold door lintel down and therefore they work smoothly over the long haul. Top clearance allows up to 6mm of lintel movement. 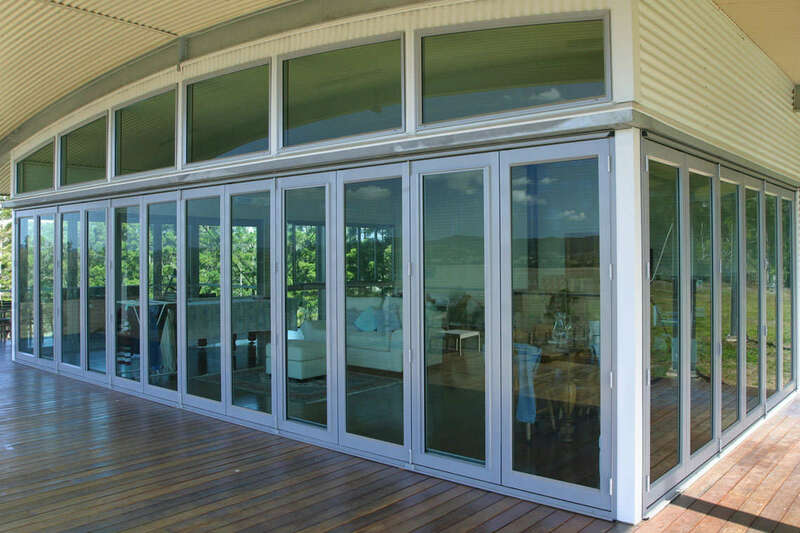 Series 548 bi-fold door transoms have a narrow profile. 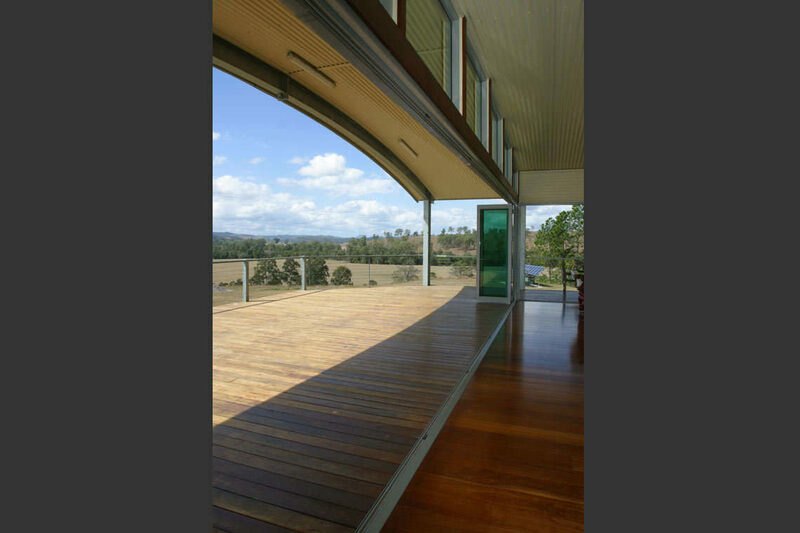 This allows a designer to include 2100mm-high doors plus an overlight in a standard 2400mm-high opening. (Opening sashes as well as fixed overlights are available). Very deep water ‘head’ at the bottom. The bigger this measurement - from drainage hole to the inside leg - the more assured the water drainage in wet or stormy conditions. 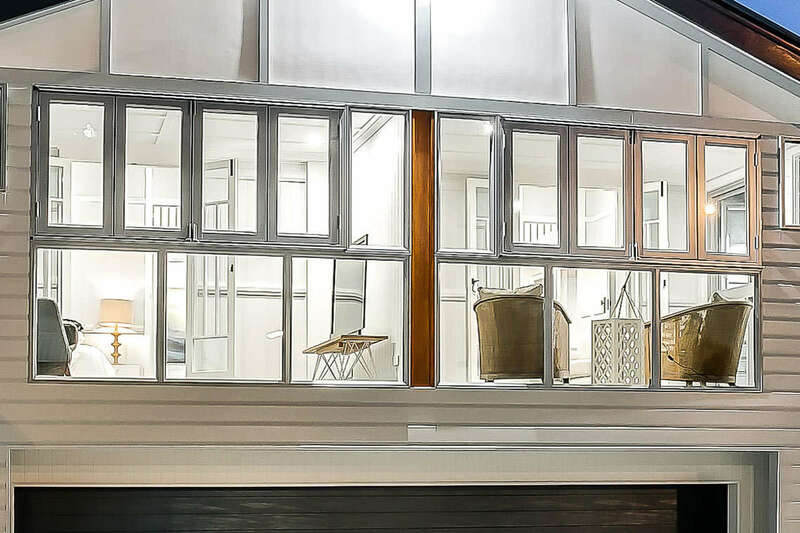 The Vantage Series 548 High Performance Bi-fold door features an unusual design embellishment - extra wide top and bottom rails that give the door the chunky appearance of traditional timber designs. 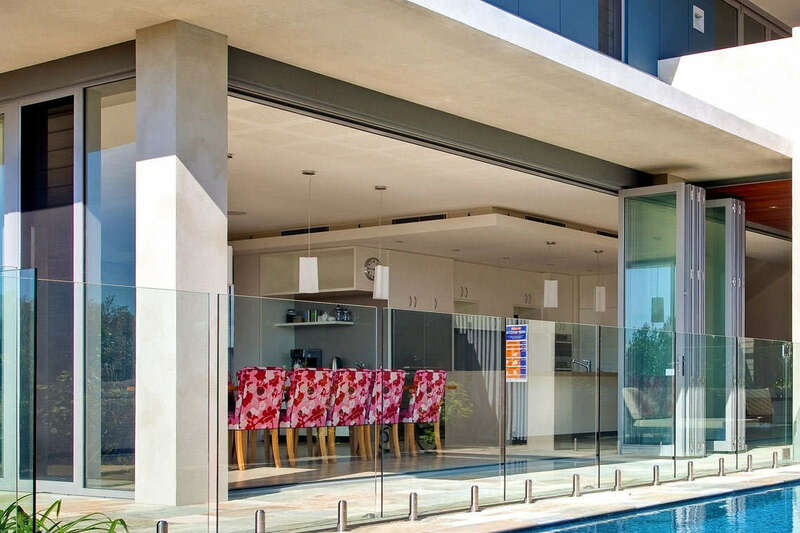 The centre hinge between bi-fold door panels has a built-in handle to allow the home owner to easily pull the panels back into the closed position. The Series 548 bi-fold door will accept Centor™ S1 screen. The Surelock™ adjustment on the pivots and carriers allow all panels to be lifted or lowered easily with a flat screwdriver. 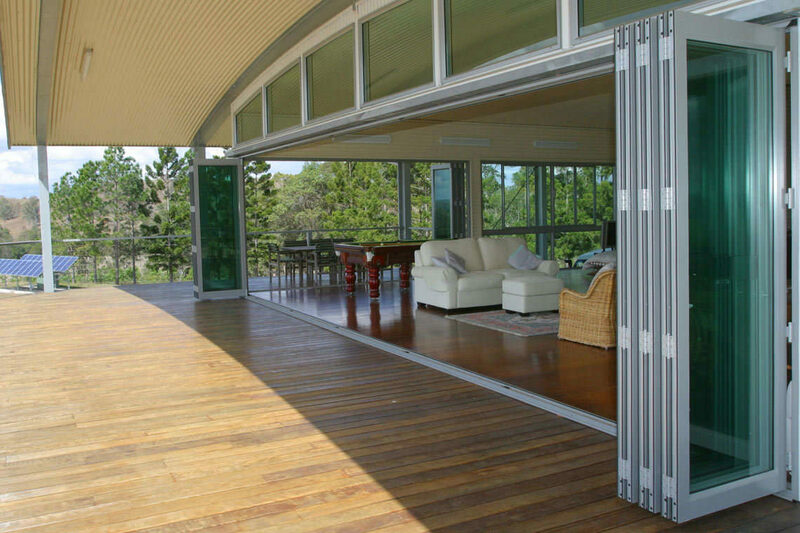 Bi-fold doors can be adjusted vertically up to 5mm plus or minus. 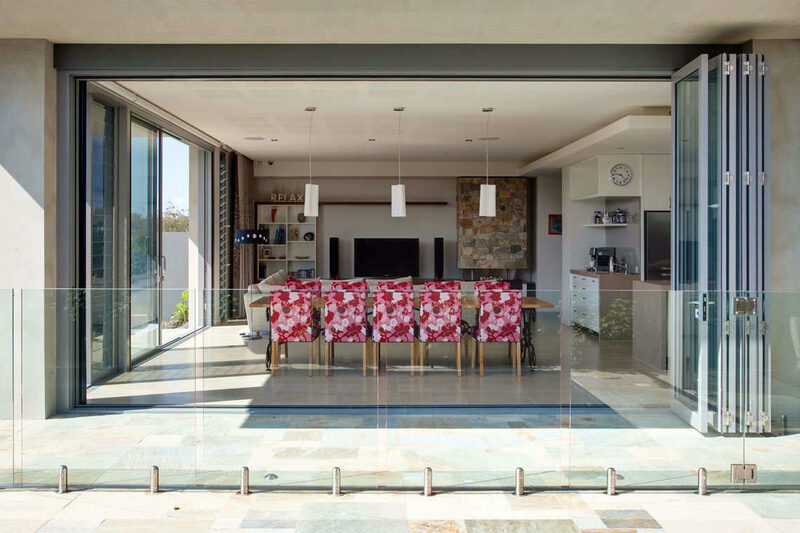 A variety of lever and lock options are available including multi-point locking on our bi-fold doors for added security. 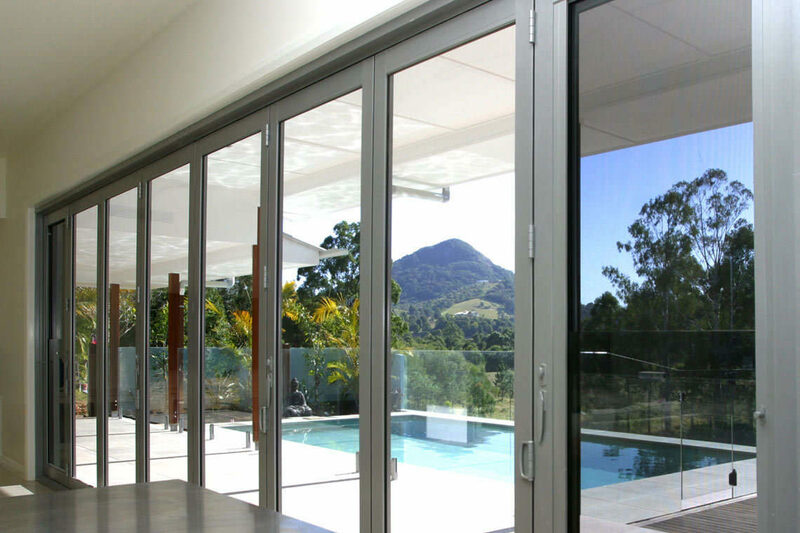 Our bi-fold doors have been successfully tested to resist 450Pa water and are suitable for air conditioned buildings when weather resisting sill is used. 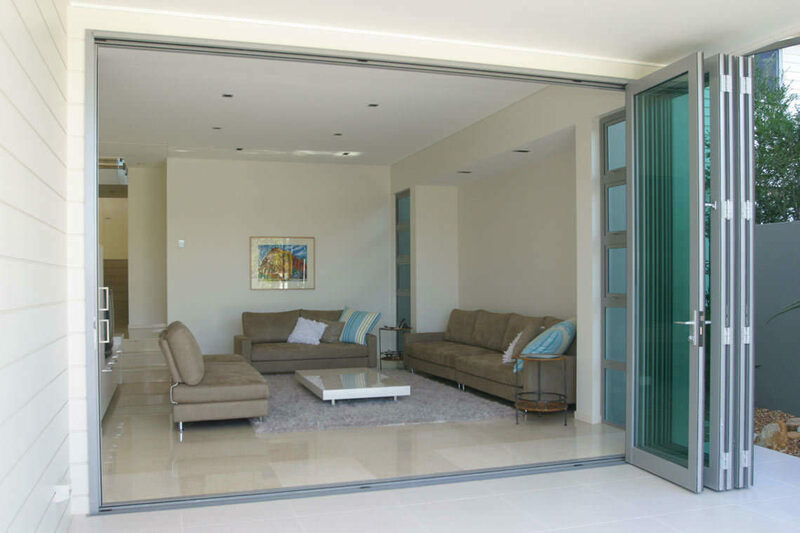 Bi-fold doors can be configured to incorporate single or double entry doors so access can be achieved without opening the whole unit. 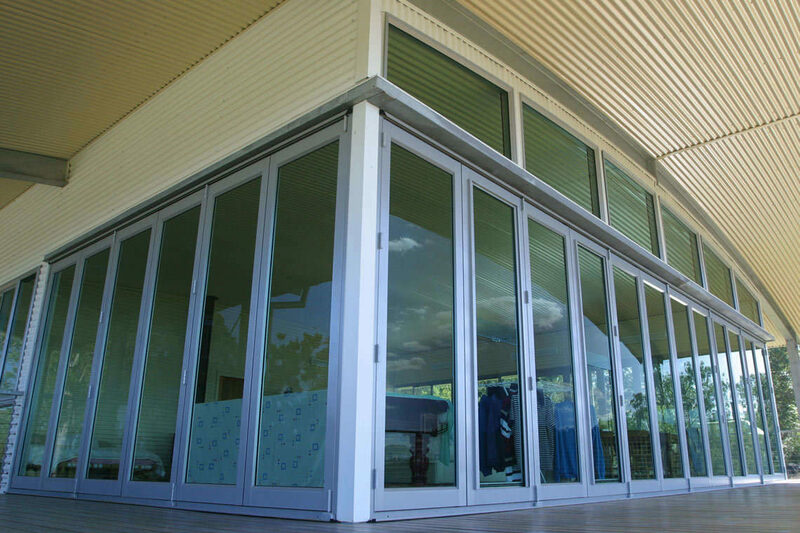 This top hung commercial bi-fold door system has been designed to compliment CentreGLAZE and FrontGLAZE commercial framing. 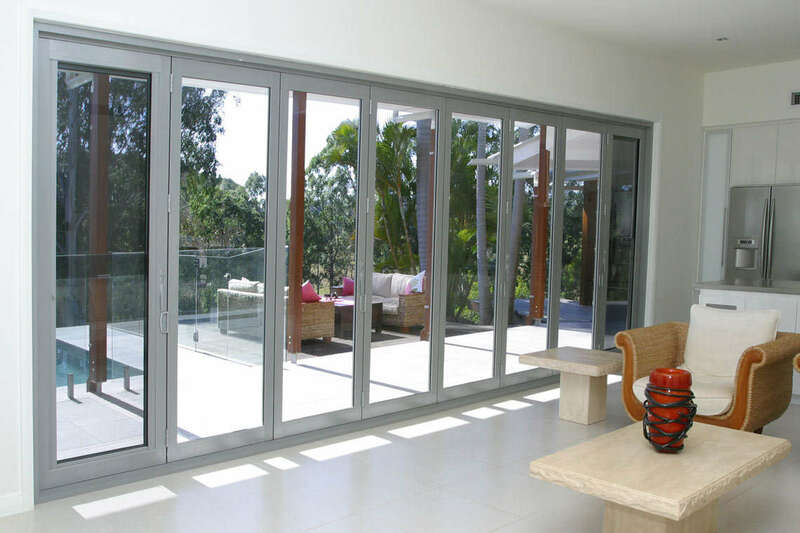 Bi-fold door frames can also be fabricated with 17mm Slimline jambs. 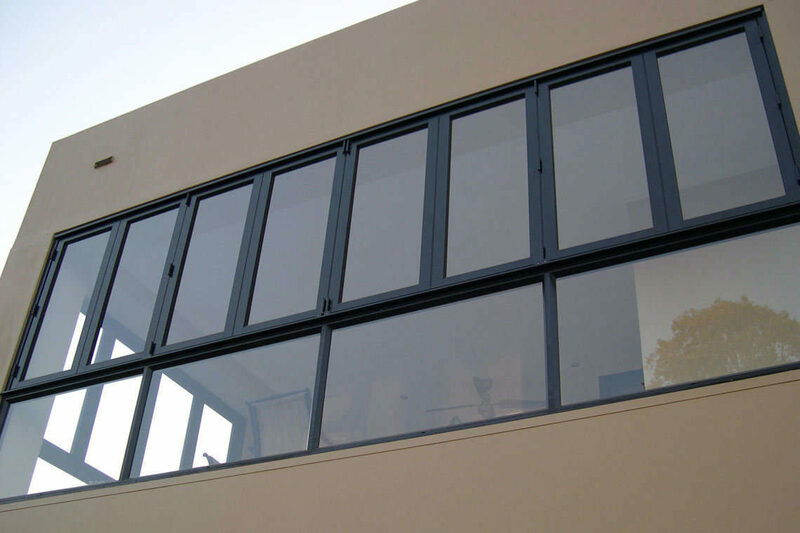 50mm Thick door panel accepts thick glass and can achieve large commerical bi-fold door panel sizes. 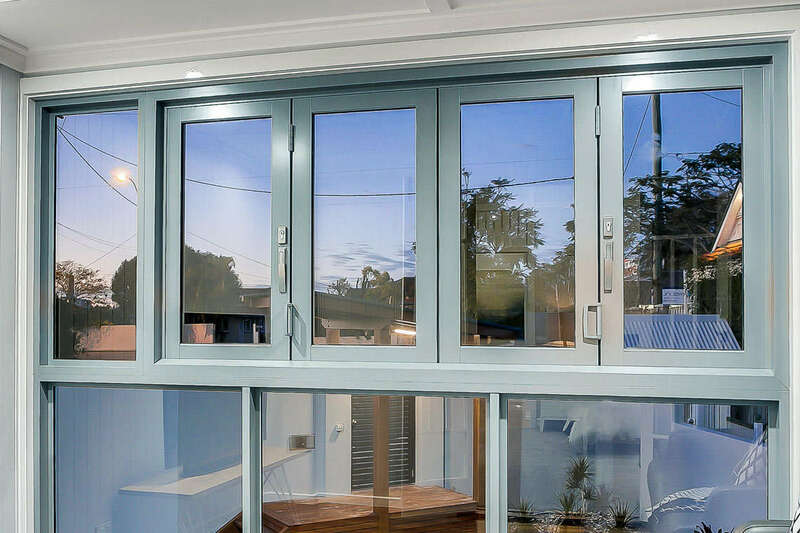 Framing and doors can be supplied in dual colour option with a different colour inside to out. Wide door stiles accept 40mm backset locks that allow easier access to the lock cylinder.The standard locks for Series 831 are lever compression locks with ICON™ 316 stainless steel furniture. AWS Centor™ twin stainless steel roller bearings running in heavy duty dual overhead tracks. The E3 rollers will support panels up to 80Kg. Rollers and pivots can he height adjusted as required. 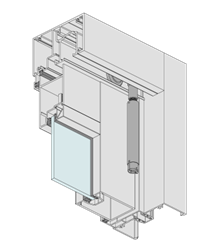 Top and bottom pivots (jamb hinges) can be adjusted horizontally if required. Heavy duty door joinery spigots with matching backing plates. 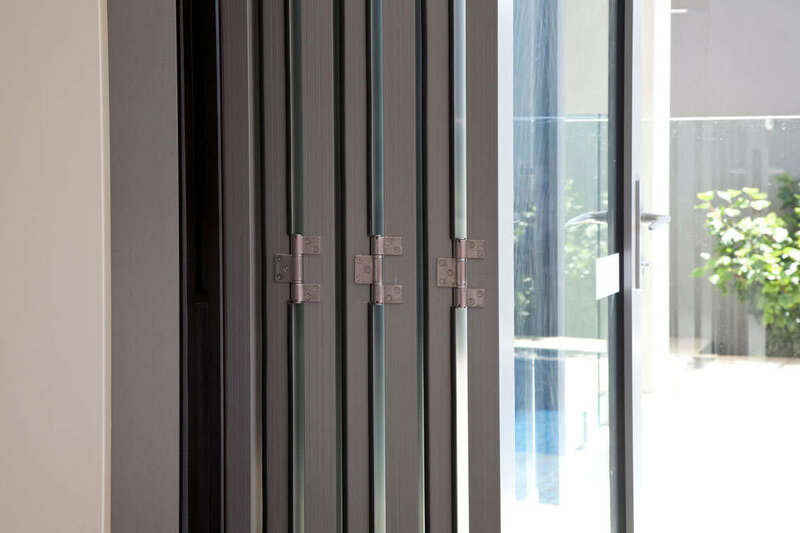 Extra deep glazing beads designed to give 12mm glass bite and 15mm glass cover with 4mm installation/ fabrication tolerance. True French meeting stiles for type BFD3+1 doors.